Peter studied music at Harvard with electronic composer Ivan Tcherepnin, graduating with High Honors. He has been nominated for over twenty-five Game Audio Network Guild Awards and won four, including Best Interactive Score and Best Soundtrack. Classical MPR recently highlighted Peter’s “magnificent” score for Broken Age, the adventure game from Double Fine Productions starring Elijah Wood, Jack Black, Wil Wheaton and Jennifer Hale, among their top 5 video game soundtracks of 2014, while Pitchfork also featured Hearthstone in their list of 2014 best video game soundtracks. Peter is a member and former governor of the San Francisco chapter of the Recording Academy, a member of ASCAP and a founding member of G.A.N.G., the Game Audio Network Guild. 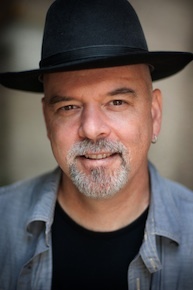 Peter McConnell has composed award-winning scores for a diverse range of video games including Broken Age, Hearthstone: Heroes of Warcraft, Plants vs. Zombies: Garden Warfare, the Sly Cooper series, Star Wars: The Old Republic, Psychonauts, Brutal Legend and Grim Fandango. Before working independently, Peter composed in-house at LucasArts contributing to beloved franchises such as Star Wars, Indiana Jones and Monkey Island.